Kevin is an actual Former NASA Rocket Scientist. He's a mix of Bill Nye the Science Guy and Dwayne 'The Rock' Johnson. He educates about science in a fun & easy to understand way, while also showcasing an active & healthy lifestyle, grit & determination, and serves as a role model for others. He breaks the traditional stereotypes of dumb-jock and socially awkward nerd. Kevin is a Space Systems Engineer at The Aerospace Corporation and has worked as a Systems Engineer at NASA's Jet Propulsion Lab (JPL) in Pasadena, CA in Project Formulation from 2015-2018. 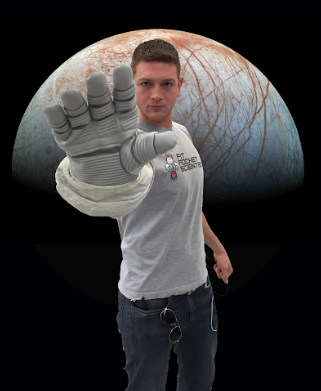 Kevin has worked on the Europa Lander Mission Concept as a Flight Systems Engineer and also in the Advanced Design Engineering group working on advanced mission concept studies as a part of TeamX and A-Team. Kevin is also a 2x American Ninja Warrior, Certified Personal Trainer, and an Eagle Scout!